We love hot pot dishes. But most of the time, we went to restaurants that serve hot pot dishes and we tend to spend more cash. But worry-no-more! You can cook your favorite hot pot dish at the comfort of your home in just 5-7 minutes with Wei Wei Cold Store's Hot Pot Special. Hot pot is a traditional stew which is commonly known around Asia. It is oftentimes cooked in a metal or ceramic pot, then add the ingredients when the water is already boiling. You don't have to go to restaurants anymore as you can make your own hot pot at your humble abode. 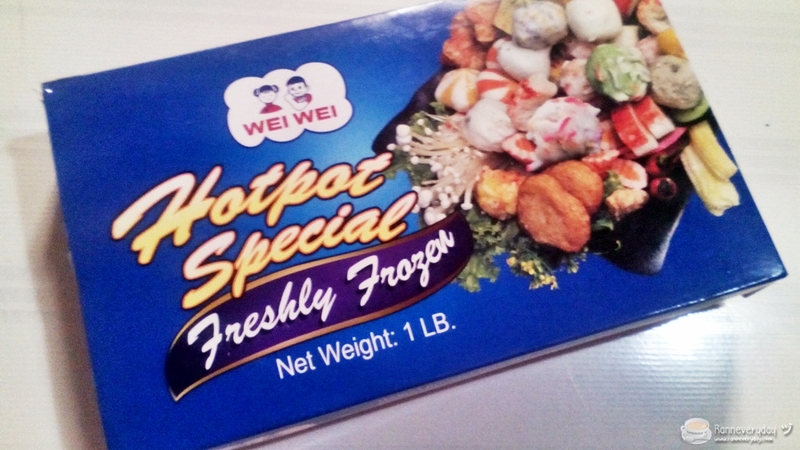 You can buy Wei Wei Cold Store's Hot Pot Special and serve it for lunch or dinner. 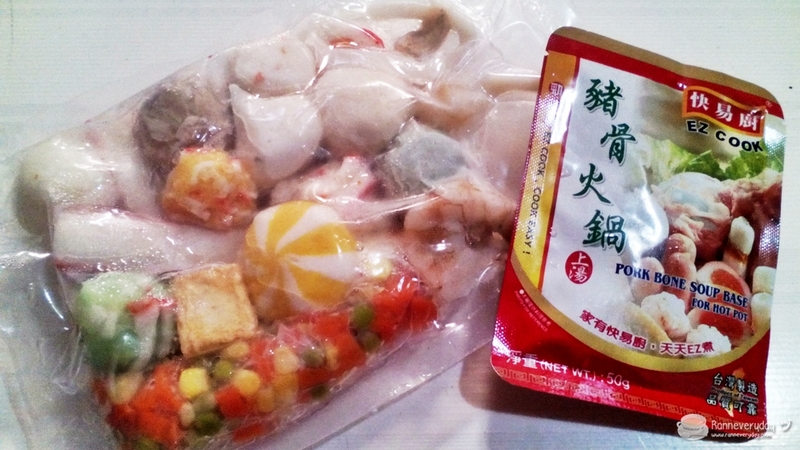 Inside the pack, it contains freshly frozen goods such as mushroom ball, vannamei shrimps, squid rings, sea urchin, gindara tofu, lobster ball, fish ball, crab sticks, roe fish roll, green fish ball, prawn stick and other frozen goods combined which you can individually buy at Wei Wei Stores. You can also find a pack of Pork Bone Soup Base for your hot pot's special added flavor. In a pot, add 1 to 1 1/2 liters of water. Once its boiling, add the soup base. Add the thawed ingredients and cook them for 5-7 minutes, depending on the appliance used. Most of the ingredients doubled the size once they are done cooking. Each of them have a fresh taste and very yummy. It is soft and tender at the same time as we bite. I served this with my family who is not fond of eating dishes like this but surprisingly, they love how it taste! The combination of the fresh frozen goods plus the soup base is very enticing to the taste. With Wei Wei's Hot Pot Special, you are free to cook it the way you want. Weather you want it steamed or fried, add other vegetables and flavor your own soup base the way you prefer. 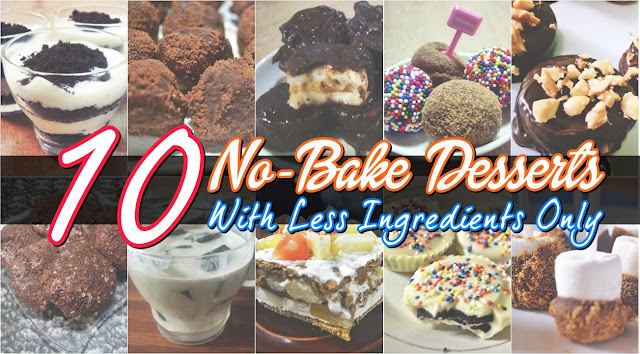 It is perfect for 2-3 servings per pack. 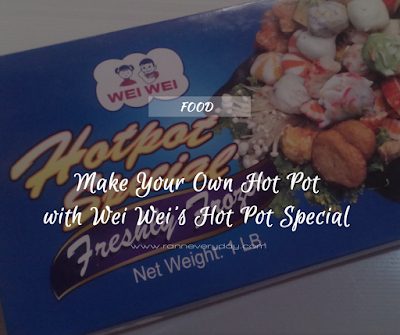 Cooking hot pot is never been easier with Wei Wei's Hot Pot Special. 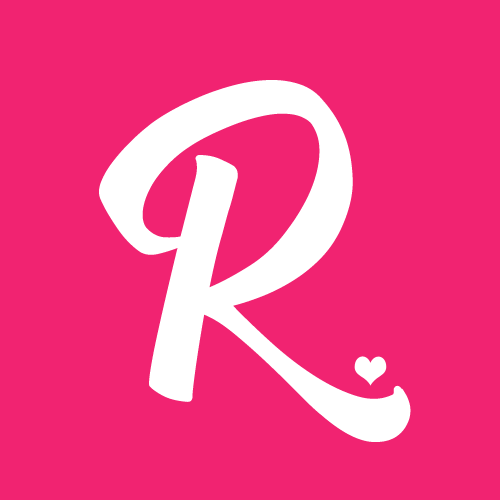 You can served it to your family or friends, cook it in less time at the comfort of your home! Watch out for my other video as I make my own hot pot dish with a twist using Wei Wei's Hot Pot Special.